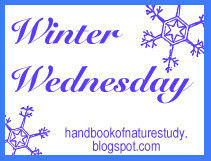 I decided to combine this week’s Outdoor Hour and Winter Wednesday challenges. For the first we observe a tree throughout the seasons. Those who have followed the challenges from the beginning have done this three times already and will be completing the year. But as Amie and I have just joined the Outdoor Hour, this will be the first season in which we observe “our tree”. The season being winter, and our attention having turned to tree bark, we also fit the Winter Wednesday challenge. But first, to choose a tree! 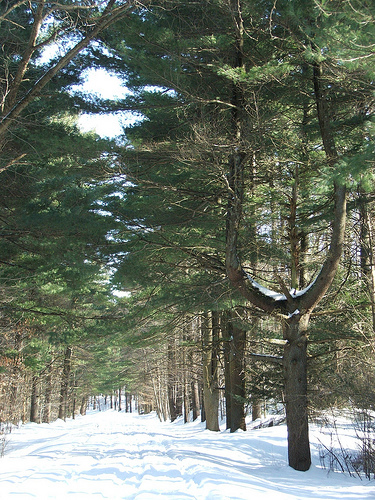 We have many trees on our property, and of many species: Beech, Gray Birch, Red Oak, White Oak, Maple, Hemlock, Pine and some immature Spruces. I have been wanting to do a serious count for months now, but I never get around to it – when you move into a new place there are so many other, “more urgent” things to do. I would say that we have a stand of several generations of trees going, with the oldest a good 50 years old, the youngest still a sapling. Too many choose from! But we’ll choose the American Beech in our front yard. It is one of the oldest trees on our property, probably about half a century old. Its trunk rises stately and straight as a ruler, then it forks, way up high, and develops a beautiful crown that shades out any other tree in its vicinity. To me it’s a symbol of strength and endurance. To Amie its a BIG tree. Until a couple of days ago the trunks of the bigger trees were encased in ice. Snow had fallen and lay packed on the branches and against the trunks. 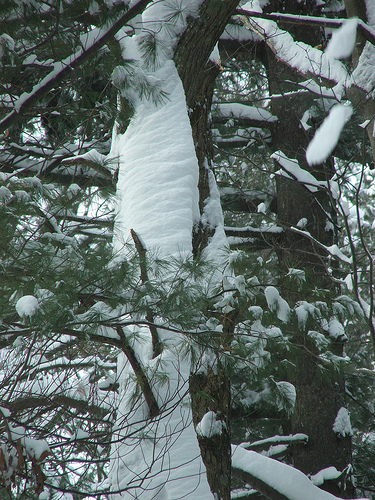 The picture below shows those layers of snow clinging to the trunk of one of our oaks (the tree lists about five degrees away from the camera, so it’s not totally vertical). If you click on the picture to make it larger, you’ll see the intricate layers in which the snow was laid down against the tree: a right marvel! Makes you feel cold, no? But it turns out that cold is not a problem for our trees, in winter. It’s heat. One of my favorite nature study books is Reading the Forested Landscape. A Natural History of New England, by Tom Wessels (*). 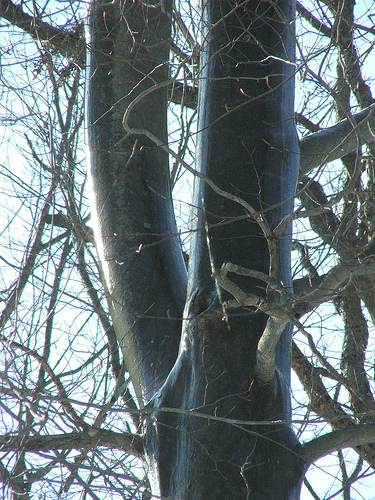 Wessels discusses (p.79-80) how trees are adapted to the cold New England weather, particularly by their bark, which protects the cambial tissues (“the vital part of the trunk; it builds on its outside a layer of bark, and on its inside a layer of wood around the trunk”, Comstock, p.620). What they protect against is heat from fire and heat from the winter sun. As Wessels writes, it seems counterintuitive that a tree needs to protect itself against exposure to winter sunlight. You’d think some warmth and sunlight would do them good. But most of our New England trees are impervious to the cold. Wessels conjures up the image of a tree on the edge of a meadow on a cold January day. It’s -5 F. The sunlight falls directly on the dark trunk, heating the bark and the underlying wood to over 70 F, making them expand. Then the sun dips below the horizon. 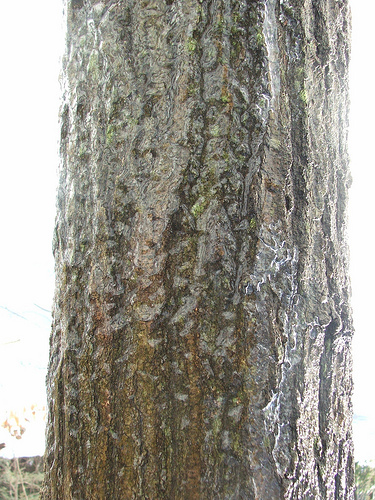 The bark begins to cool and contract, but the underlying, insulated wood takes longer to do so. And so the bark doesn’t fit around the wood anymore: it’s too tight. So it cracks open. The resulting wound is called “frost crack”. This weak spot grows larger and deeper with each such temperature fluctuation. I’ve yet to find a tree with such a crack. That’s because most trees have been around here for many millennia and they have foun ways to adapt to the winter sunlight. We explored these thoroughly, by sight and touch, and Amie can make out the smooth barked beech most easily. It’s good fun, running your fingers over the bark with your eyes closed, trying to guess which it is. The first three of these kinds of bark allow the heat trapped underneath the bark to escape faster, so that the underlying wood can cool at the same rate as the bark.Result: no frost cracks. The lighter color of the Beech’s bark reflects the sunlight. This is an adaptation of this originally tropical tree to the exposure to winter sun in the high and not-so-high North. One day I will tell this story to Amie again – my three-year-old adaptation of it, I must admit, falls woefully short – and we will marvel at the great resilience of this tree, and at Nature’s meticulous inventiveness and perseverance. I also wanted to share with you another marvelous tree, in the back of our property. We call it the Tuning Fork Tree. I believe it’s a Pine, but shall go back to verify some day. (*) Reading the Forested Landscape is a detective book, really. At the beginning of each chapter there is a beautiful etching of a wooded landscape (by Brian D. Cohen). The chapter then deciphers the clues to disturbance histories, the impact of logging, forest fire, beaver activity, blowdowns, blights, changing climate and human handiwork. As you read, you learn about forest succession, ecosystems, and the history of New England’s forests. 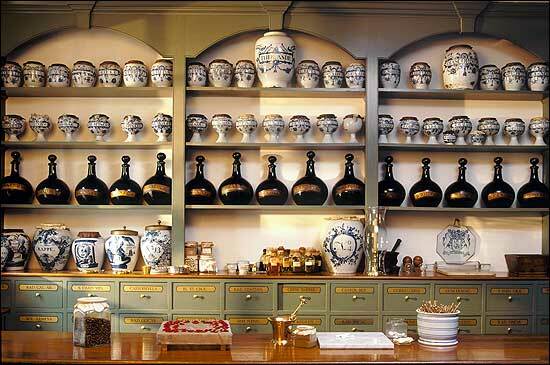 It’s fascinating and beautiful.